Lecil Henderson returns to Gary J. Long Jewelers on April 26 to showcase his Spring 2018 Collection! Meet Lecil Henderson, designer of The Henderson Collection and Luca Lorenzini by Lecil, and discover his incredible fine jewelry, just in time for Mother’s Day, graduations, and June weddings. With hand-crafted designs in diamonds and fine colored Italian enamel, The Henderson Collection offers beautiful pieces of fashion jewelry that can be customized to your unique style. Crafted from sterling silver and designed by hand in Italy, Luca Lorenzini by Lecil fashion jewelry features modern and chic designs that make a statement. 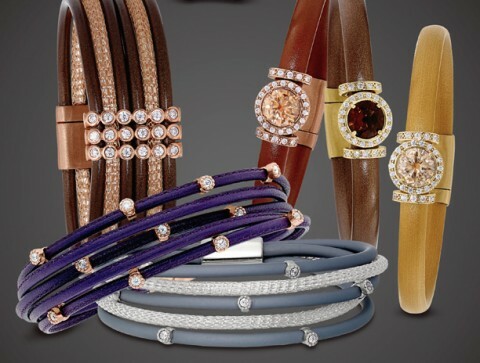 Join us for the exclusive one day trunk show on Thursday, April 26 from 10 AM to 6 PM. Enter our raffle to win a Luca fashion bracelet and enjoy refreshments while you shop. Whether you’re searching for the perfect Mother’s Day gift, or simply want to expand your own collection of bracelets, rings, and necklaces, this is your chance to meet Lecil and shop his beautiful new styles and colors for spring.